Home > Resources > Should You Update or Abandon Your Call Center ACD? Choosing the right technology for your contact center infrastracture be daunting. 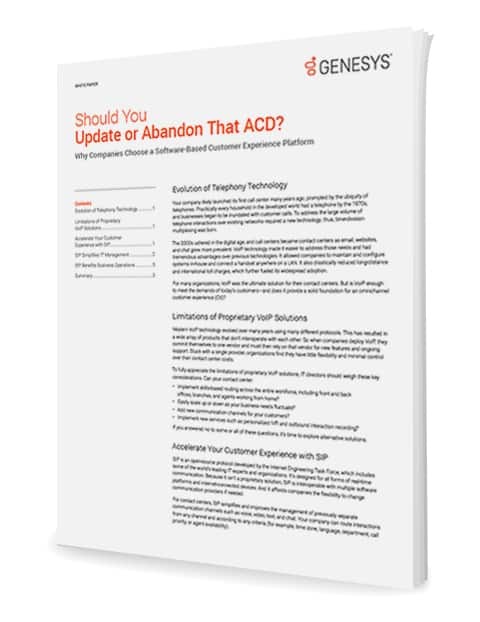 Should you update your legacy call center ACD and applications? Or is it time to migrate to a SIP-based customer experience platform with powerful omnichannel capabilities? Modernizing your call center infrastructure with a SIP-based contact center solution can be the foundation for delivering world class customer service.